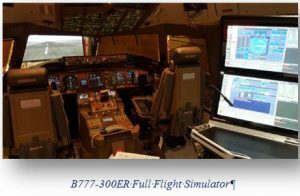 In preparation for the installation of the new B777-300ER Full Flight Simulator (FFS), Prince Sultan Aviation Academy has successfully completed the FFS Site Acceptance which was conducted in May 2016 by SVA Capt. 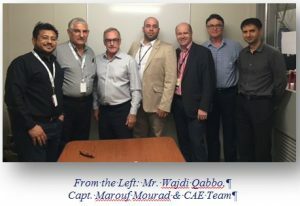 Marouf Mourad and PSAA Simulator Specialist Mr. Wajdi Qabbo at CAE Montreal, Canada. 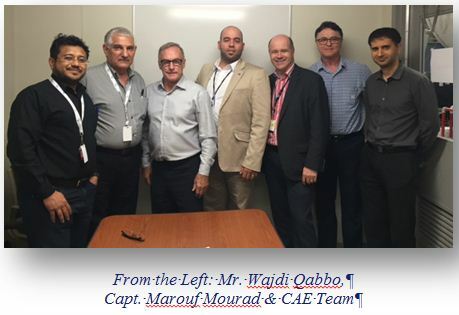 The expected arrival and installation of the new B777 FFS is estimated to be by the end of July 2016.